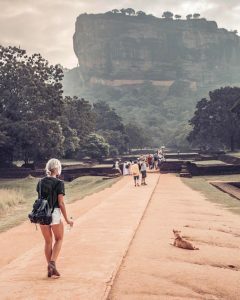 Archeological excavations have proven that Sigiriya and its surrounding territories were inhabited for more than 4000 years.Since the 3th century BC Sigiriya was used as a monastery and after eight centuries it was turned into a royal palace.The construction and early history of the palace and fortress of Sigiriya is connected with several tragic events in the relationship of two royal brothers – Kasyapa and Moggallana. 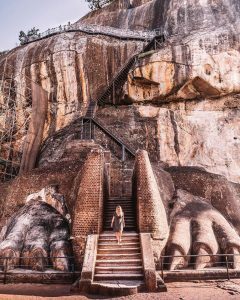 King Kasyapa (477-495 AD) illegally took the throne. 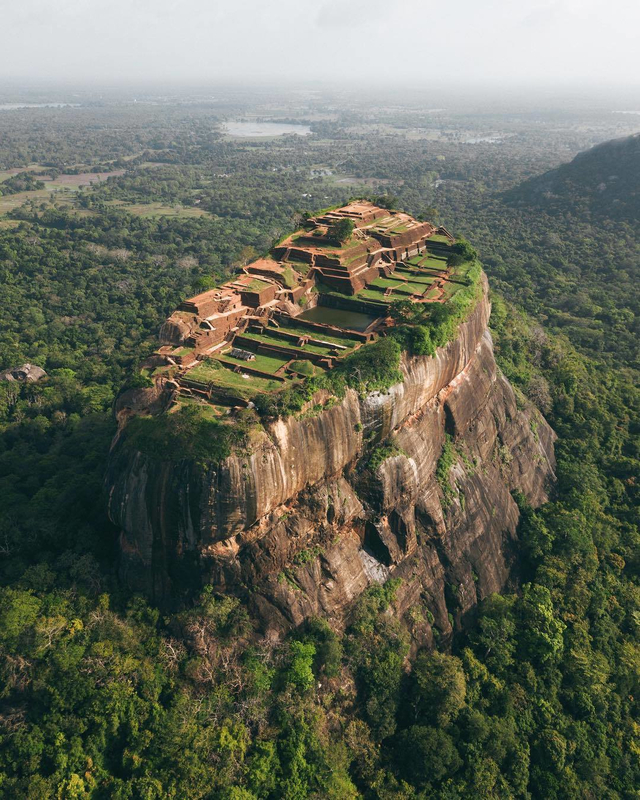 The legal heir of the throne Maggallana was forced to escape to India. 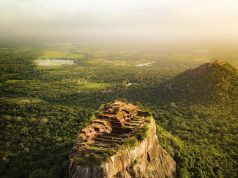 Fearing an attack by his brother Kasyapa decided to move the capital from Anuradhapura to the central parts of Sri Lanka. 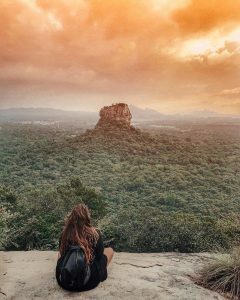 He constructed a royal palace on a high rock to make sure it will not be invaded by the right heir of the throne Maggallana.The palace – Sigiriya was constructed using the most advanced technologies of the time and was richly decorated with colorful frescos. 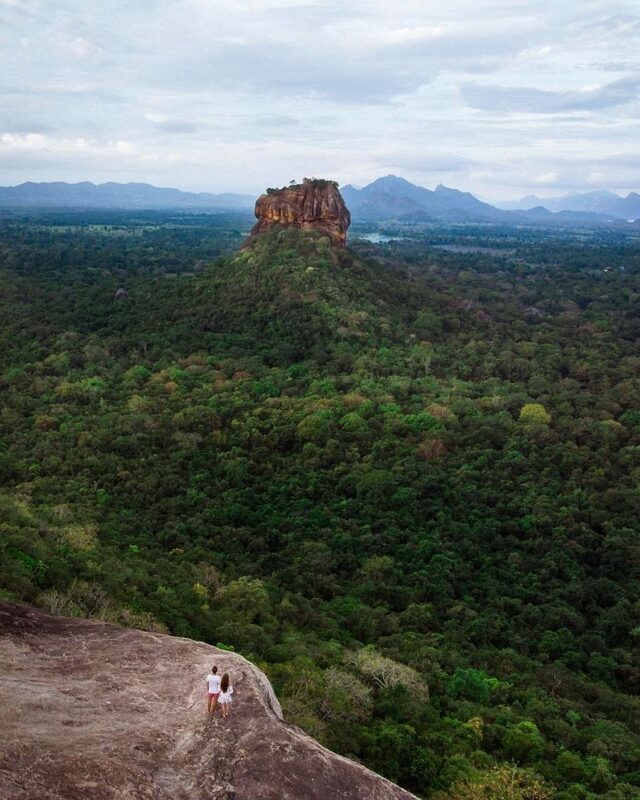 After Kasyapa was killed in the battle with his brother’s army, the capital was moved back to Anuradhapura. 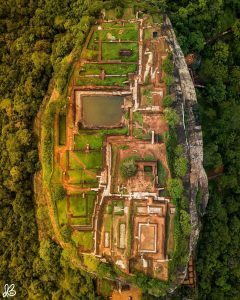 Maggallana destroyed the palace of his brother and Sigiriya became a Buddhist monastery again. 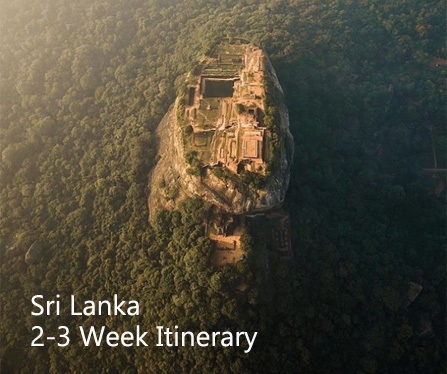 Approximately a thousand years later – in the 14th century it was abandoned also by monks. 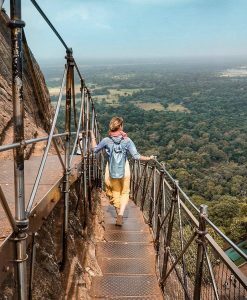 In 1831 Europeans accidentally discovered Sigiriya. 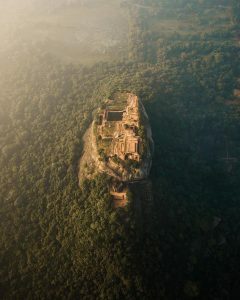 Jonathan Forbes – a major of the British army discovered it on his way from Polonnaruwa – a city in central Sri Lanka.The site immediately attracted the attention of historians and archaeologists, but only in the 1980s major excavations took place here.Archeologists discovered the 5th century citadel, royal palace, gardens, parks and 1500 years old frescoes on the western wall of the complex, some parts of which remained amazingly unaltered.